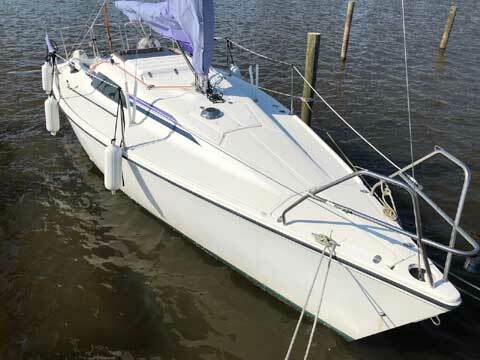 This sailboat is a great family cruiser/racer. 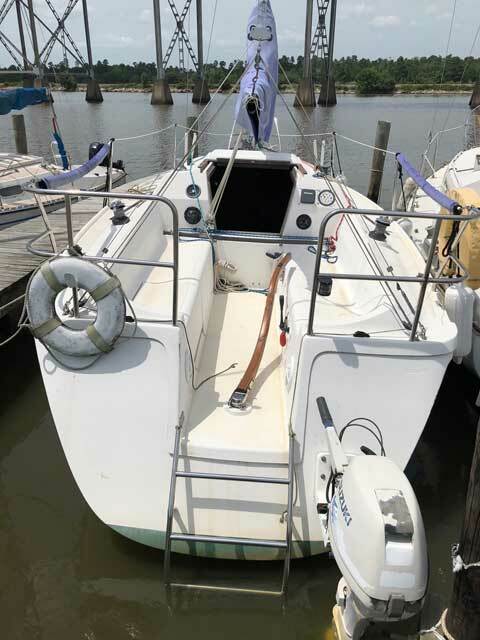 It is both an ideal first or move-up boat if you have been previous sailing something smaller. It is 26.5 feet long, weighs 4500 pounds and draws 3.5 feet with a wing keel. 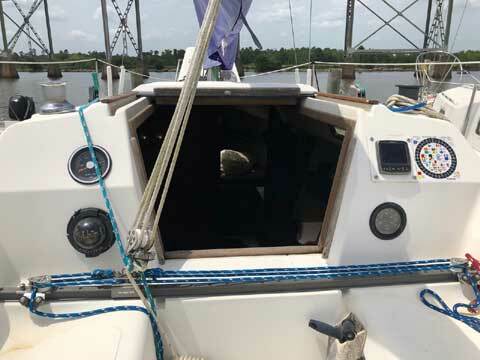 The boat has cut-out transom with built-in swim ladder which allows easy access in and out of the water. The engine runs strong and has cockpit controls (throttle/ignition) which allow you to control the engine just like a power boat. Sails include 1 main, 1 jib, 1 storm jib, and 1 genoa. 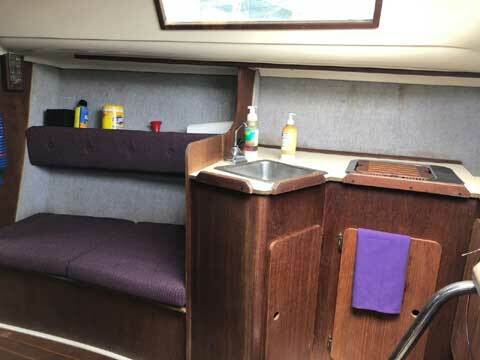 Both the interior and exterior of the boat are in good shape. Bulkheads are solid and the teak floor has been refinished. Interior cushions are original but very nice. You can easily sleep 4-5 overnight. 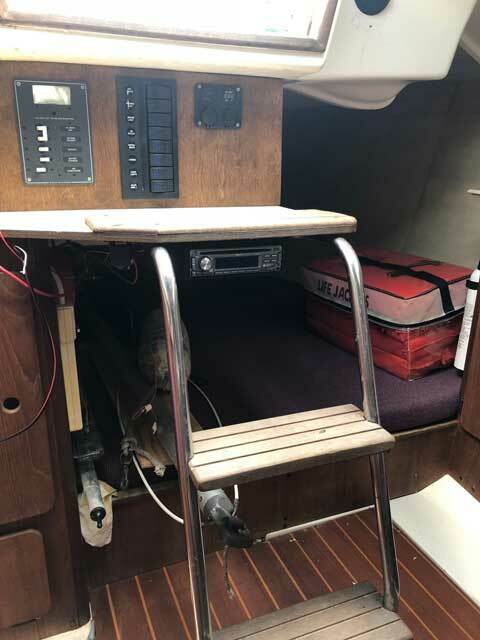 The galley includes a sink and stove and there is a folding table mounted to a bulkhead. 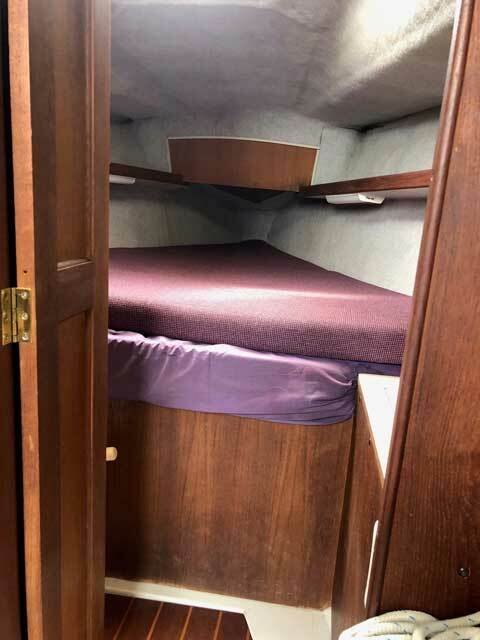 The cabin has over 5 feet of head room and even more if you raise the ceiling panel over the center of the cabin. 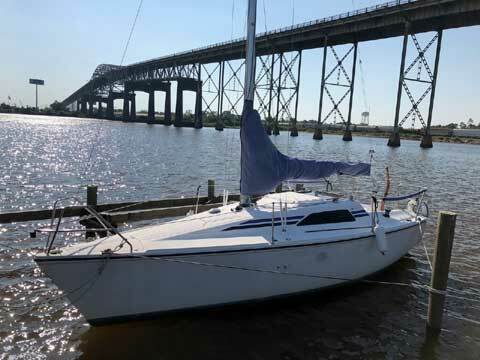 The Hunter 26.5 is a carefully designed sailboat with more modern lines than boats designed earlier.